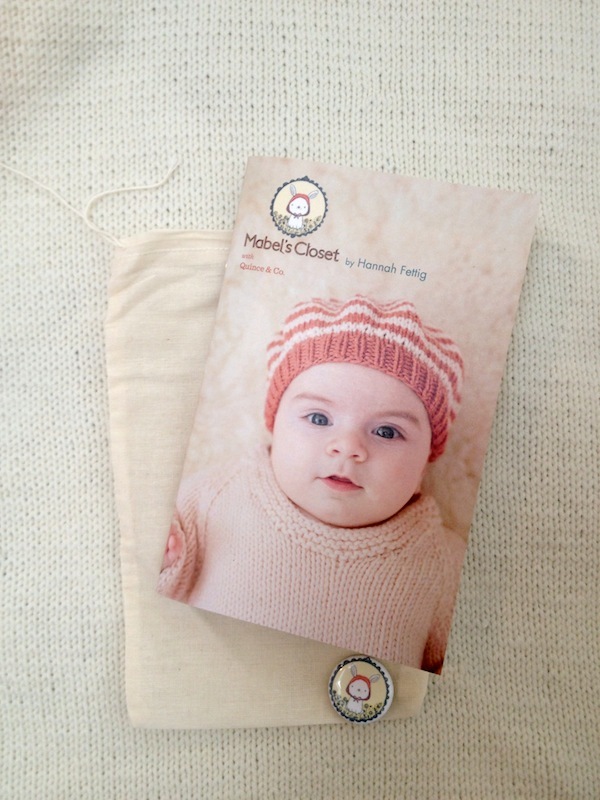 Hannah Fettig, of Knotbot fame has a new pattern book called Mabel's Closet, which is soon to be released. It's inspired by her new baby girl, and features the cutest, prettiest, most classic garments you could ever knit for a baby girl. I was really excited to see the preview, so I entered a contest to win a copy...AND I WON!! Shut the front door people! I've never won a blog contest, and if I was ever going to win one, this is a good one to start with, lol. You see, there are a lot of people having babies right now, and I love having simple, elegant patterns to knit pieces that can pass down from one baby to the next. This little collection includes an adorable swing coat, and a jumper, and the cute little beret you see on the cover. Oh, and a simple little blanket. There is no shortage of cute in this collection. And thanks to Hannah, and Quince & Co, I'll have a pretty little tote to carry it around in too :) Thanks again Hannah!! Oh. And in an unrelated note, the Elizabeta Knee-highs are now available to the public, lol. You can find the pattern download here.